The world has definitely gone crazy over the salted-egg food trend, and the Philippines is no exception. We’ve put salted egg on just about everything— chicken, pasta, and even potato chips! 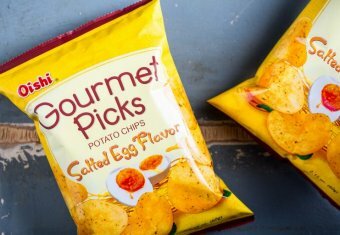 Salted-egg potato chips may just be the favorite salted-egg incarnation of many local foodies—they’re handy and quite addictive, making them the perfect snack! We consider them a cut above the rest when it comes to picking our favorite treats. They’re something we tend to splurge on, and we go to great lengths to get our hands on them. Just check out the incredible lines at weekend markets! Being stuck during a traffic jam can lead to a grumbling stomach. Beat the boredom and keep your hunger at bay by digging into a bag of Oishi Gourmet Picks Salted Egg Flavor—they’re so good, you’ll want to finish them in one sitting! 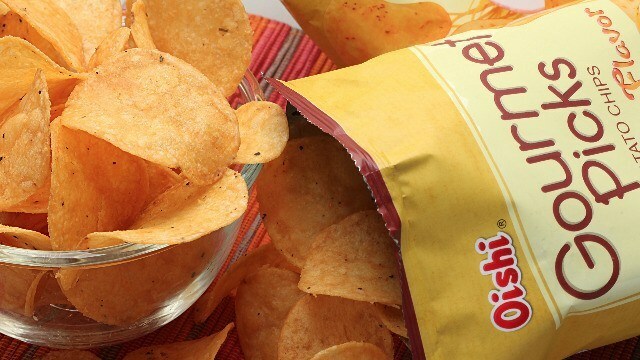 Whether you’re binge-watching the latest season of your favorite tv show or catching up on the newest Netflix Originals, these chips are the perfect snack to munch on. Need a little pick-me-up to help with the office blues? When you’re stuck in a rut, take a break with a pack of Oishi Gourmet Picks Salted Egg Flavor and get back to work with a smile. 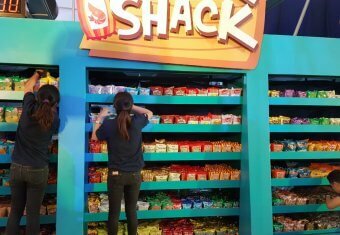 If you’re feeling peckish as you toss and turn in bed, you could probably use a quick bite. 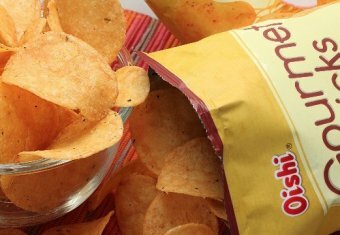 Ease your hunger pangs by having some of these chips—they’re sure to bring on the good vibes before you go to bed. It’s a Friday night, and your friends invite you to hang out at another buddy’s house. They ask you to get some chips on the way. 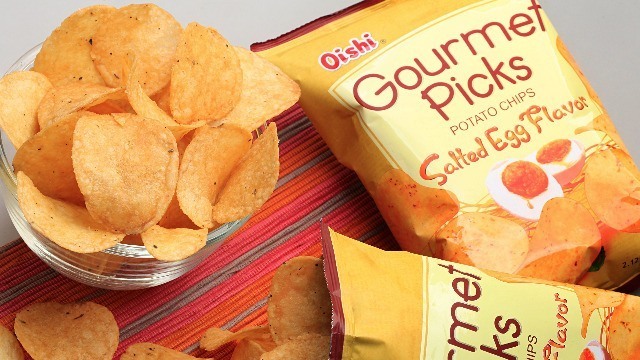 Get several packs of Oishi Gourmet Picks Salted Egg Flavor and you’ll definitely be the weekend hero in their eyes. Getting your hands on Oishi Gourmet Picks Salted Egg Flavor is a breeze—we’ve seen them in so many stores! Check out some of the locations where we’ve sighted them, so you can head to the one nearest you: Super 8, Landmark, Puregold, Waltermart, Makati Supermarket, SM stores, Unimart, Cash & Carry, and 7-Eleven. Each bag starts at P35, but prices may vary depending on store location. Here’s where you can find this eggtastic snack: follow this link to stay updated with the freshest stock.